Long-term Customers from India Visiting Moflon Company! 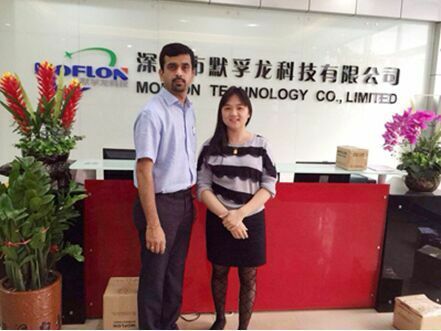 On November 9th, 2014, the long-term cooperative customers from India came to visit MOFLON Company. Our Indian guest trusted our MOFLON Company and MOFLON products, so he placed a large order; we gave him a big discount to build a firm and friendly cooperative relationship! Pri: Long-term Customers from United States Visiting Moflon Company! Next Cheerful Team with Happy Life!